To celebrate our fifth birthday, we’d like to invite our paddlers on the ultimate SUP trip. This June , join us to explore the unspoilt magic of the Norwegian fjords. We’ll journey by paddleboard for four days through the untamed and wild UNESCO World Heritage site of Nærøyfjord. With towering mile high cliffs on either side and emerald green water below our feet, this trip is what paddleboarding was designed for! We’ll carry all our gear with us on our boards and at night we’ll wild camp and cook together, drinking the pure water straight from one of the many waterfalls and rivers ending in the fjord. We’re committed to preserving the local nature, culture and environment of this wild landscape. We will travel in a small group and we plan to leave no trace of our visit. Spaces are limited to a maximum of 10. Book below with a £100 deposit or contact us to express your interest and find out more about travel arrangements. Spaces are limited to a maximum of 10. We anticipate that your board, paddle and camping kit (without pump) will fit in one check-in bag leaving your 10kg carry-on bag for clothing. 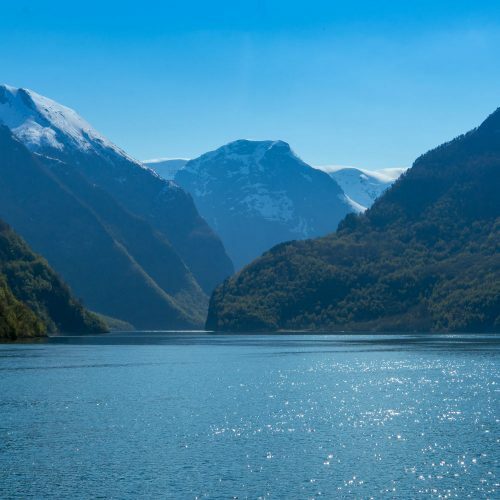 We suggest you travel with Norwegian Airlines on the Sunday and catch a short and extremely scenic coach to our starting point in Flåm. Please contact us for more information about travel arrangements. We will create a Facebook group to co-ordinate car-sharing (from Bristol) to the airport. You will leave confident in planning a multi day trip and wild camping with the bare minimum impact.